A recurring dream keeps you up at night these days. After struggles aplenty, you’ve come up with a great idea for an ecommerce business. Like many aspiring ecommerce merchants, your credit score isn’t great… since you’re still recovering from filing for bankruptcy two years ago. Nonetheless, you feel optimistic. Yes, you neglected a few bills here and there, but managed to scrape together the funds needed to set up a website, obtain a business license, and develop your business plan. Then you faced the dreaded discussions with bankers about payment acceptance. As you began the search for payment processing services, bankers said your business is considered “high risk” — a label that attaches itself in a way that’s hard to shake. It looms like a big, thick brick wall. That’s the dream you can’t shake! You encounter a wall that you can’t get over or around. It simply stops your forward progress. But no worries… wakeful reality looks better. 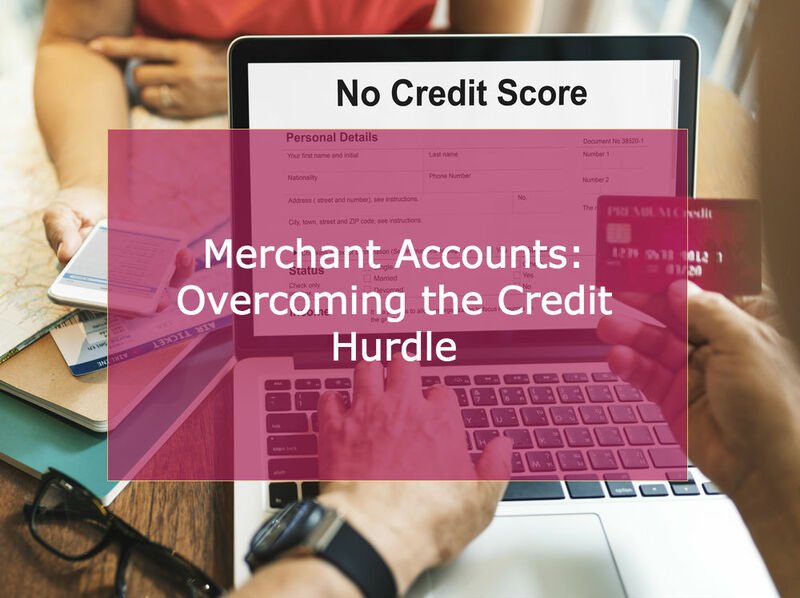 While merchants can’t get around bad credit histories entirely, the payments industry doesn’t need to remain out of reach forever. So don’t despair. Specialist payment processors focused on the high risk ecommerce sector can deliver the needed remedy: a bad credit merchant account. Keep reading as we unveil what you need to know to obtain one. Pay attention now, because we’re here to help you succeed long term. Once labeled, merchants have the devil-of-a-time getting past it. But what does the “high risk” label actually mean? It may be as simple as being a startup. Or you may have chosen to operate in a unique vertical deemed high risk (and therefore verboten) by some banks, processors, and credit card brands. Keep in mind that merchant accounts operate as a type of personal loan. Ecommerce in general carries extra risk associated with the inbuilt CNP (card not present) payment environment, which carries increased fraud risk. Examples of high risk sectors include online travel agencies, adult websites, subscription merchants, and others with unique needs and underwriting requirements. When these factors collide, banks and processors remain on the hook to refund customers, whether chargebacks occur due to true or friendly fraud, or merchant error. Merchants who qualify for bad credit merchant accounts may end up paying a higher rate than low risk counterparts. Other restrictions like rolling reserves, monthly processing volume caps, and potential funding delays could also apply. After a few months of successful payment processing, merchants prove themselves reliable — and may no longer face such restrictions. Keep in mind that the high risk tag represents a service provider’s point of view. Credit card brands, banks, and some payment processors rely on good risk management to remain profitable. Higher costs — and the risk of potential losses — for service providers lead to the “high risk” label. Some ecommerce businesses are prohibited entirely — such as adult-oriented and casino, gambling, or gaming sites — due to financial and reputational risk. Suppose for a moment that your business operates with a bad credit merchant account. You process $2,000 of sales transactions in your first month. You receive the money from your processor within two days, though he might not be paid for as long as 30 days. Several customers decide a full three months later to file chargebacks totaling $650. The issuing banks involved debit your processor directly, and he’ll try to debit your business account for to replace the $650 he just paid. But what if you’ve changed processors — depleted your business bank account — or gone out of business? The processor was left holding the bag for $650 (plus chargeback fees of $20 to $100 per transaction). Is it any wonder merchant account providers looked at your personal credit to assess whether or not you represent a good risk? They were looking at the likelihood that you’d be both willing and able to pay what was owed in exactly that kind of situation. Bad credit merchant account or not, all processors and merchant account providers care about your personal and business credit scores. They also want to see that merchants operate in a legal, responsible manner — as well as evidence that the business pays its bills on time. Plus, it’s helpful to offer a complete and up-to-date business plan to provide business credibility. Be sure to choose a processor with a solid history in the payments industry, one that caters to high risk merchants needing bad credit merchant accounts. Choose a processor that offers scalable, end-to-end payment processing services custom tailored to fit your specific requirements. Critical processing services should include a PCI-DSS Level 1 compliant gateway. The chosen payment platform should integrate easily with your ecommerce website and provide all of the components needed to process and settle transactions under one roof. For more than a decade, MerchACT has specialized in the placement and ongoing management of merchants who operate online businesses considered “outside the box” of traditional credit card processing. We’re the leading provider of merchant accounts and payment technology to high risk ecommerce companies. Bad credit merchant accounts represent an important specialty of ours. MerchACT is more than a processor, also serving as a consultant and payments adviser to help your business succeed — to help you realize that great idea of your dreams.